Powdered Alcohol & Teens a Dangerous Mix? No, there’s not a typo in this article. Controversy is brewing around palcohol, a powdered form of alcohol set to hit store shelves this summer. Palcohol is a powdered, freeze-dried version of common drinks. It includes rum, vodka, a Cosmopolitan, and powderita, a version of a margarita. This means buyers will be shaking their way to their favorite cocktails, and that has critics shaking their heads. Palcohol is packaged in small pouches which are very easy to conceal. There are concerns the powdered alcohol will trigger abuse by young people. Another potential problem, the powder alcohol can be snorted, just like cocaine for faster effects. Its a move that would be really dangerous and painful. Safety groups are also worried that underage drinkers will sneak it into venues that don’t allow alcohol or mix it with alcohol instead of water, as intended. The creator claims palcohol is simply an easy-to-carry alcoholic option for people with active lifestyles. He is also adamant that there’s not one shred of evidence to back claims this palcohol will be used or abused any differently than liquid alcohol. 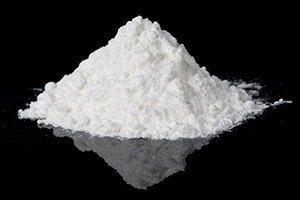 The Food and Drug Administration has little involvement with powdered alcohol because the substance is classified as a distilled spirit meaning the U.S. Alcohol and Tobacco Tax and Trade Bureau oversees it. This means consumers will still be subject to the same rules as liquid alcohol, so people will need to be age 21 or older to legally buy it. Were you or a loved one injured by a drunk driver(http://www.edwardslawok.com/oklahoma-dui-collision-attorney.html)? Having won over $100 MILLION in successful settlements and verdicts for our clients over the years, our team of Tulsa car accident lawyers at has the determination, resources, and experience to assist you with your specific personal injury litigation.